The light rain early yesterday evening soon died out and the rest of the night was dry, windy and mainly cloudy. The cloud dispersed towards dawn, and the wind began to decrease, and it's been sunny since around 0850. A little light showery rain overnight. Clear spells developing towards dawn. Sunny spells developing this morning. 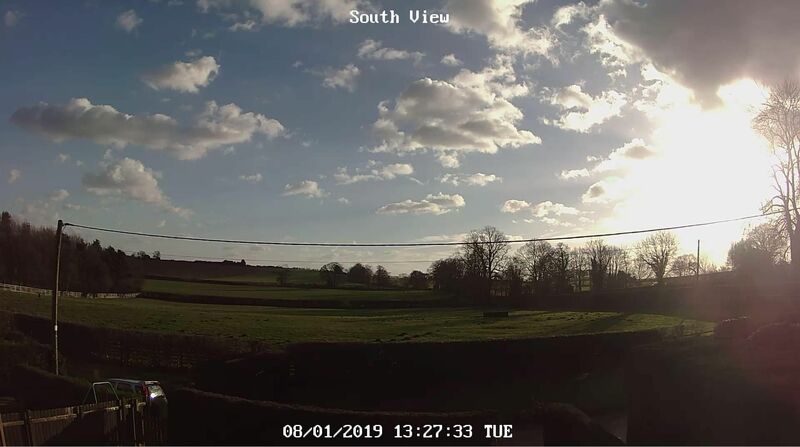 Maximum temperature to 18:00 GMT yesterday 11.5C. Minimum temperature on grass 3.6c. Barometer 1025.6mb: Trend rising slowly. Another mostly overcast night, possibly the odd cloud break. A cloudy and mild morning. The afternoon saw a little drizzle. Dry with light winds,few breaks in the cloud. It was a bright and sunny start to the day but later this morning its turned more cloudy. Last night was dry with the gusty winds easing off. Wind speed 10mph gusting to 15mph. Partly sunny and a cold breeze from the North. A dry and mainly sunny day with a sheet of Sc spreading in around sunset. Dry and sunny all day, a pleasant change from the recent gloom. Maximum 9.1, minimum 5.9. Wind light NW. 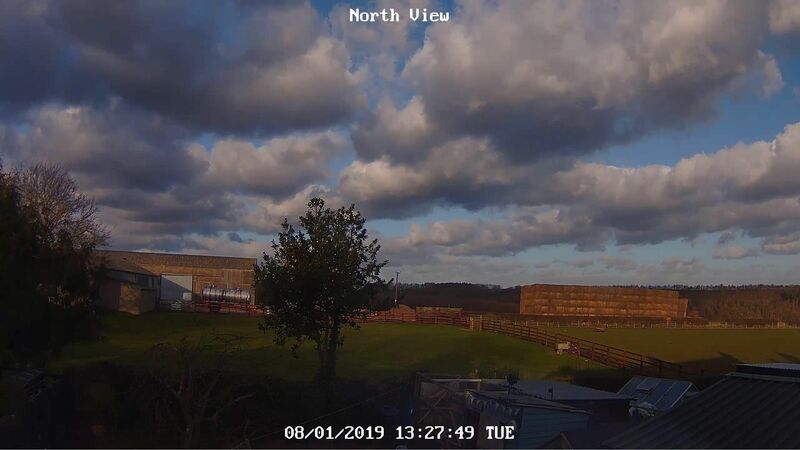 The afternoon had a few sunny spells but was mostly cloudy with the wind easing down more and the temperature falling as well. Wind speed 5mph gusting to 7mph.